All of the “assistance” articles are available to the general public without a member account, under the Free Publishing Resources drop-down menu (shown above). However, you will need to sign up in order to publish your book with them. 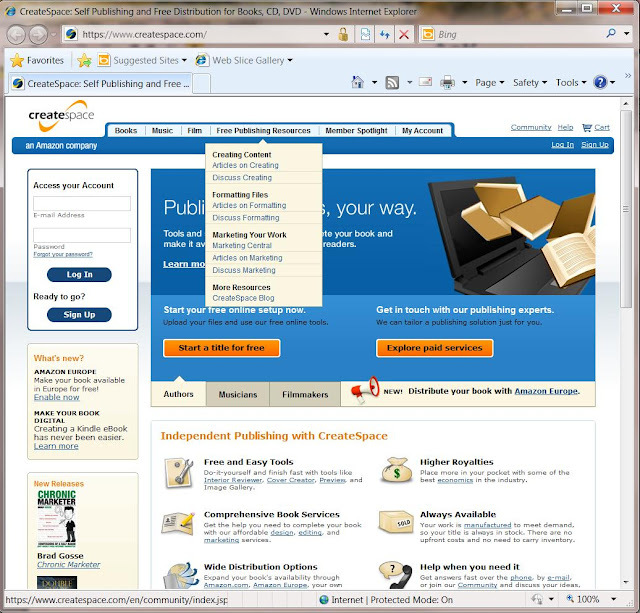 Createspace has many good tools available for your use. 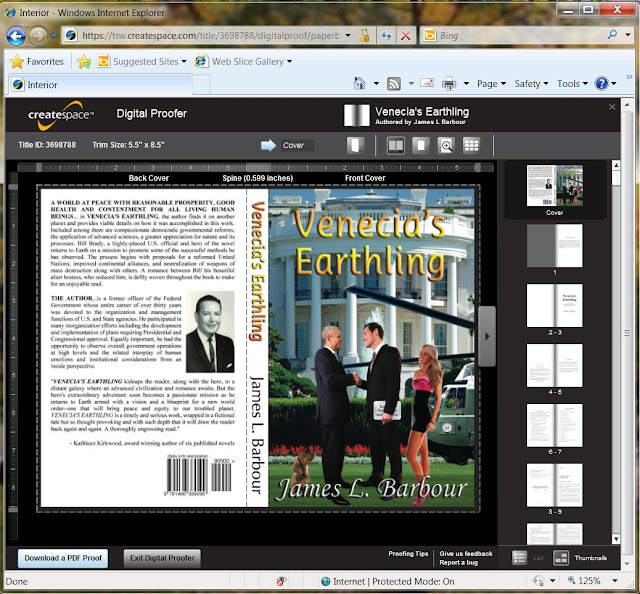 For book covers, they have an on-line Cover Creator tool, which we haven’t used, an excellent previewer (see captured screen below), templates and lots of how-to articles. They also have professional publishing services available, if you don’t have the time to learn and develop the covers yourself and you can afford the services. We chose to do our own cover development, mainly because Anita has the artistic skills, I have the computer skills and we have the Adobe CS5.5 Master Collection tools. If you have Adobe In-Design or an equivalent product, there is an excellent article available under “Formatting Your Files” named “How To Make A Basic Cover”. We followed these guidelines to create our cover flats. When we first started developing covers, we hadn’t yet purchased the Adobe Collection software. I was able to use the guidelines in the article to use Serif DrawPlus X5 to create the cover flats instead. DrawPlus seems to have most of the features of Adobe Photoshop and is much easier to use. You can also use Adobe Photoshop or Photoshop Elements, if you have them. 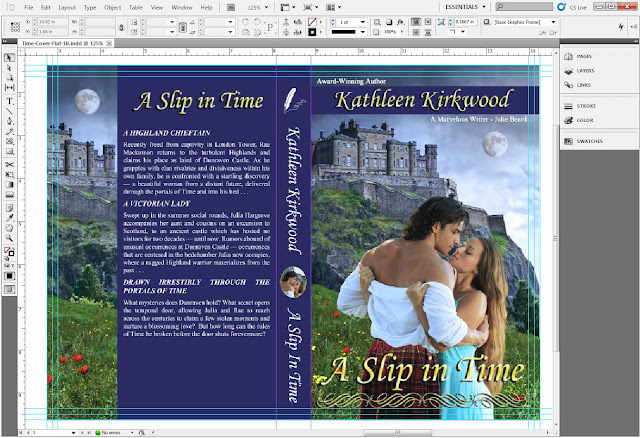 We later switched over to InDesign (shown below) to create the cover flats, after we had purchased the Adobe Collection. Poke around in the Free Publishing Resources area and you’ll find LOTS of help on how to create your print book. Consider their Professional Development services if you can afford it.